Spatial distribution of sand particles in the test straw checkerboard barrier. In the fight against desertification, so-called straw checkerboard barriers (SCB), consisting of half -exposed criss-crossing rows of straw of wheat, rice, reeds, and other plants, play a significant role. The trouble is that our understanding of the laws governing wind-sand movement in SCB and their surrounding area is insufficient. Now, Ning Huang and colleagues from Lanzhou University in China, have performed a numerical simulation of the sand movement inside the SCB, described in a paper just published in EPJ E. Their country is particularly affected by desertification, which affects 18% of its territory. The results will help us to understand sand fixation mechanisms that are relevant for sandstorm and land-desertification control. 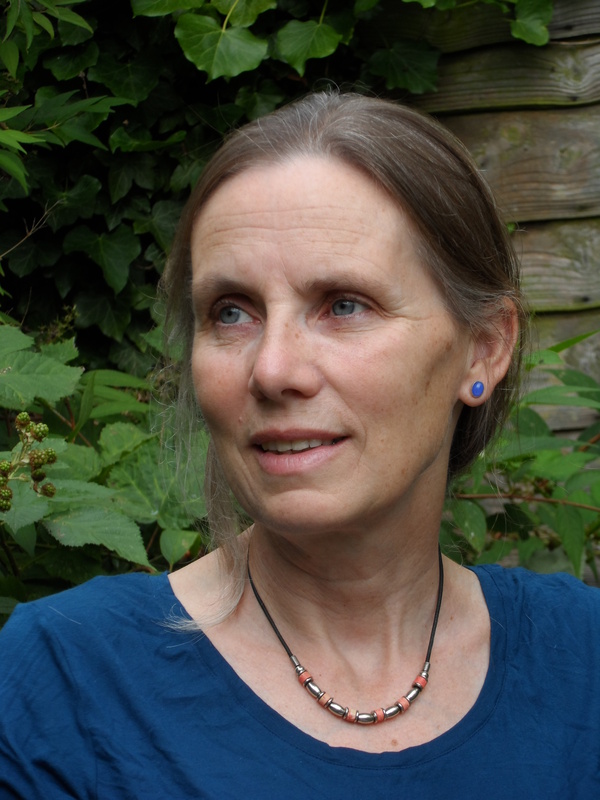 The 2013 edition of the EPJE Pierre Gilles De Gennes prize has been awarded by the EPJE editors to Professor Julia Yeomans of the University of Oxford, UK. 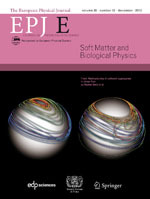 This initiative of the European Physical Journal E - Soft Matter and Biological Physics takes the name from the illustrious Nobel laureate who founded the journal. Professor Yeomans has been nominated for her profound contribution to the study of the dynamical behaviour of complex and active liquids in confined geometries. She is an expert in theoretical and computational physics, particularly statistical physics, hydrodynamics, soft condensed matter and biological physics. Among her current research interests are microswimmers, active systems, liquid crystals and the interactions of fluids with structured surfaces. The average mobility of the water molecules. Figure 2 from Ariel Fernandez (2010), Transformative concepts for drug design: Target Wrapping, Springer-Verlag, Berlin. New research shows a physical characterisation of the interface of the body’s proteins with water. Identifying the locations where is it easiest to remove water from the interface of target proteins could constitute a novel drug design strategy. The candidate drugs would need to be engineered to bind at the site of the protein where interfacial water is most easily dislodged. These findings, based on the work of María Belén Sierra from the National University of the South, in Bahia Blanca, Argentina and colleagues, recently published in EPJ E.
Examples of different nanoscale patterns that block copolymers can adopt. Building structures by mixing lego bricks of two different sizes is child’s play. However, studying polymers endowed with an alternating nanostructure made of heterogeneous blocks is anything but straightforward. Theoretical physicist Mark Matsen, based at the University of Reading, UK, studies polymer mixes consisting of two-fold (AB) and three-fold (BAB) combinations of two types of nanoscale blocks. He has shown, in a study published in EPJ E, that the underlying heterogeneity of the blocks can cause polymers to switch to different nanoscale patterns and therefore display different properties. 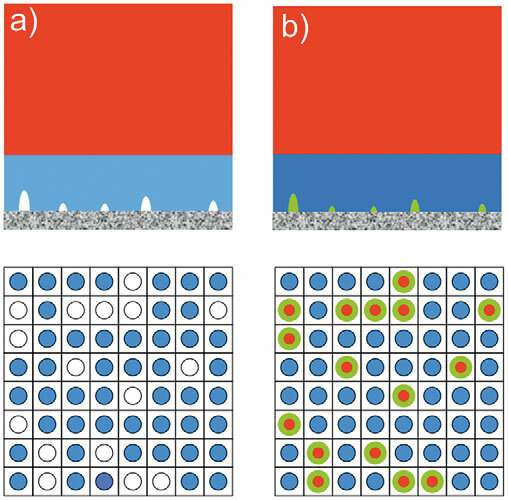 Numerous applications based on etching patterns on substrates, such as electronics, computer chips, and membranes endowed with a specific function, can benefit from such research. Schematic representation of a top-view of the cell containing the colony. What do wound healing, cancer metastasis, and bacteria colonies have in common? They all involve the collective displacement of biological cells. New research sheds some new light on the physical mechanisms provoking the displacement of a sheet of cell, known as an epithelium. It typically covers our organs including the stomach and intestine, as well as our epidermis. In a paper which appeared in EPJ E, Martine Ben Amar from Pierre and Marie Curie University in Paris explains the importance of understanding the displacement of the epithelium as a means of influencing the biological process involved in healing. And, ultimately, of helping to minimise scars. 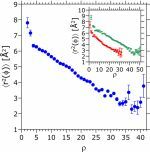 Thin films of liquids and polymers are interesting systems for those seeking to test glass transition theories and their prediction of a characteristic transition length scale of a few nanometers. The anomalous phenomena observed in some of these nano-confined films has greatly advanced our understanding of theoretical and experimental soft matter physics. These films are treated as equilibrium systems where surfaces and interfaces introduce monotonous long-range mobility gradients. 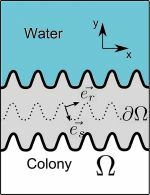 Considering finite size and interfacial effects provides an intuitive but oversimplifies picture that falls short of explaining many phenomena, such as enhancement of segmental mobility near an absorbing surface or long-lasting metastable states in the liquid. Microscopy image of a cell. The mechanism responsible for generating part of the skeletal support for the membrane in animal cells is not yet clearly understood. Now, Jean-François Joanny from the Physico Chemistry Curie Unit at the Curie Institute in Paris and colleagues have found that a well-defined layer beneath the cell outer membrane forms beyond a certain critical level of stress generated by motor proteins within the cellular system. These findings, which offer a new understanding of the formation of this so-called cortical layer, have just been published in EPJ E.
Set of measured velocity profiles with Carbopol microgel. Being a physicist offers many perks. For one, it allows an understanding of the substances ubiquitous in everyday industrial products such as emulsions, gels, granular pastes or foams. These are known for their intermediate behaviour between fluid and solid. Paint, for example, can be picked up on a paintbrush without flowing and spread under the stress of the brush stroke like a fluid. Baudouin Geraud and colleagues from the Light Matter Institute at the University of Lyon, France, have studied the flow of a microgel confined in microchannels. They have shown, in a study just published in EPJ E, that its behaviour under confinement differs from predictions based on standard theories. Indeed, its molecules are not only subjected to local forces, but also to neighbouring forces that affect its flow. EPJE is inviting submission for a new topical issue on “Thermal non-equilibrium phenomena in multi-component fluids”. Under thermal non-equilibrium conditions, multi-component fluids generally undergo component separation. This is termed thermodiffusion in molecular liquids, and thermophoresis in colloidal fluids. The precise physical principles underlying these phenomena are still not understood, and it is envisaged that a continuous flow of ideas between theoreticians, experimental scientists and researchers employing numerical methods is needed to achieve a deeper understanding. In order to provide an overview of the more recent advances in this intriguing area, Fabrizio Croccolo and Henri Bataller will guest edit this topical issue on physical systems outside thermal equilibrium. The deadline for submission is 30 June 2014. Read the full call for papers to learn more about the scope and submission details. Schematic representation of the model. © A. Fathizadeh et al. Three-quarters of the DNA in evolved organisms is wrapped around proteins, forming the basic unit of DNA packaging called nucleosomes, like a thread around a spool. The problem lies in understanding how DNA can then be read by such proteins. Now, Arman Fathizadeh, a physicist at Sharif University of Technology in Tehran, Iran, and colleagues have created a model showing how proteins move along DNA, in a paper just published in EPJ E.